Kim Kardashian Cuts Her Hair Shorter – Is She Channeling Kylie Jenner? 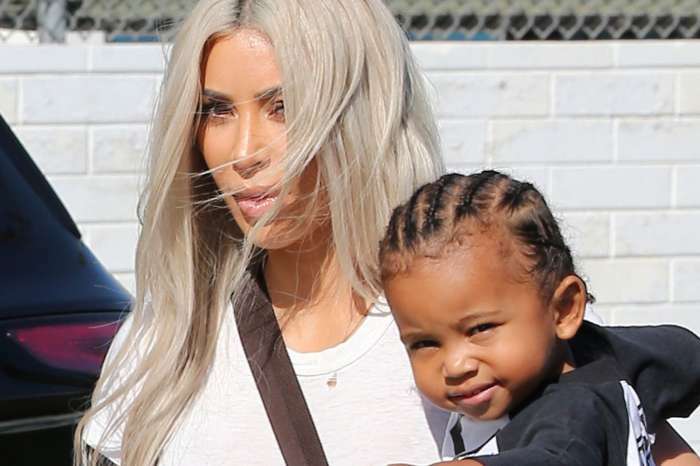 Kim Kardashian’s transformation continues, and the platinum blonde KUWTK star just cut her hair shorter into a classic bob. Is she copying Kylie Jenner’s style? ‘I cut my hair even shorter today. Do we like it or is it too short?’ Kim asked on Snapchat on Friday night. Kim’s new look brings to our minds a past style that sported by her youngest sister. The two sisters were seen rocking similar looks and hairstyles throughout the years lots of times. In other news, Kim is currently facing a backlash from outraged customers after her perfume failed to enter their countries. TMZ was the one that reported that Kim’s KKW Fragrance didn’t pass the standards in Australia, New Zealand, and more countries. As a result, Crystal Gardenia line was banned from those countries due to its composition. The perfume was labeled as ‘flammable/hazardous material’ due to its really high content of alcohol. Such a thing is taken very seriously in Australia and New Zealand as well. KKW Beauty team is now in the process of individually contacting customers who have to receive the product to offer them a full refund. Kim is not inviting her surrogate to her Christmas parties, and according to an insider, her reason is kind of understandable. So, it looks like her fans who were in a hurry to blast her for not inviting her surrogate were wrong because the relationship with the surrogate is going well, despite the rumors that the two of them are feuding. ‘It’s too confusing for the kids and to be honest, that’s just not the nature of this relationship. There’s no big drama, though. Kim’s planning to send a bunch of Christmas gifts to her surrogate and her family this year. She wants to spoil her surrogate and show her gratitude,’ a source claimed. Who cares… You guys focus too much on her. She’s always thirsty for attention. Its a wig anyway.